photo swap with erin . . .
when i started scrapping years and years ago, there was one scrapper that always caught my eye in the magazines and idea books ... and that was erin clarkson (terrell). 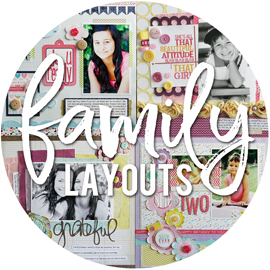 she has always had amazing layouts ... with such attention to detail and layers and texture. her style is very linear and fun ... and i think i have taken on the same sort of style in many ways. a few years back, i got in touch with her for some advice on some things. and now i don't just call her my "scrapping idol" (although i DO still call her that!) ... i get to call her a friend now too. i love having the chance to swap photos with friends every now and then ... and scrap them for each other. i think it's fun to have new faces to scrap ... and i love the challenge of creating something for a friend that i think they'll enjoy. erin liked the idea too. so we picked out a few photos to swap. and here is what i made for her. isn't her daughter daisy so adorable? i thought this was such a cute photo of the two of them. i have to admit ... this took me a while to do. i must have started about 4 different layouts ... using different products each time. honestly ... i think i was just a little nervous. i wanted to make something fabulous that erin would really love ... a lot of pressure scrapping for your "scrapping idol/friend". lol! which i know is crazy ... because i know she likes my stuff. i finally pulled out these my minds eye paper on monday ... and just went for it. the basics of this page (the paper placement and tags) are actually a lift of an older layout i did ... but one i always loved. then i just started pulling random embellishments out that matched. found the large flowers and loved that i could bring some orange in there. i was looking for some chipboard for the title ... and i came across this chipboard tag that i thought was really cute. i tied it to a journaling spot with some string ... and then adhered it to the flower using pop dots for extra dimension. then i just added some buttons with mini brads in the centers. i asked erin for a small bit of journaling ... once i had the title on there. and now you have to go check out the layout that erin made with my photos. you can see it HERE. i seriously love it ... so excited that she created something so cool for me! little shop of sketches . 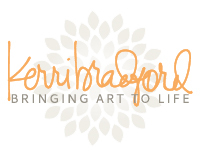 . .
a few weeks ago, i was invited to be a guest designer for the little shop of sketches. one of their designers, jessica, is one of my loyal blog readers. and she passed along my info to the site's owner, tanya. they provided me with this sketch to base a layout on ... and you can see all the design teams creations HERE. i loved the photo placement on the sketch. since i had some of my really old scrapbook albums out ... i was flipping through the pages seeing if any of the photos fit this design. i found these photos of alyssa and her dad at a giants game ... 9 years ago. i had them on a 2 page layout ... but had never actually finished it. so a good reason to start it all over. one thing about pulling photos off of old layouts? they can be tricky to crop. back in the day ... we used to cut our photos into circles and other random shapes. so to trim a circle into a square or rectangle ... and not cut off anything important ... that can be challenging. but that's exactly what i did on these. i did choose to use 2 smaller photos together, in place of the large focal photo. and instead of the top photo and the title underneath ... i choose to put my title on the tag to take up that same photo spot. the idea is still there ... just tweaked to fit my photos. i decided to go with black and orange as my main colors. i felt like i needed another color ... so i decided on green. i found these old chipboard frames .. and painted them with some green paint. they fit my smaller photos perfectly. as i was trying to think of something to use for my title ... i remembered that i had these old jolee's giants stickers. i HAD to use them ... after all, i've held onto them all these years. lol! the little shirt is really cute, right? thanks to little shop of sketches for asking me to join them this week. make sure and check out their site ... some great sketches. and i'll be back over there in 2 weeks with another fun surprise. jillibean soup sketch . . .
have you been by the jillibean soup blog lately? they have a great schedule set up each week. and one of the features is "soup sketch" every tuesday. this week is soup sketch 2 (SS2), brought to us by summer fullerton. here is the sketch. i've been pulling out some older photos lately ... these are about 9 years old. they were scrapped on a 2 page layout in a creative memories album. it wasn't good. it involved a hose sticker ... and some random flower stickers sneezed onto the pages. sure, it's fun to look back and see how my style has evolved. but it's also fun to take those photos right off that old page ... and rescrap them to my style now. these fit the sketch ... so i went for it. make sure and check out what the other design team girls came up with for this sketch ... you can see them all HERE. and you can play along too! if you create a card or layout based on this sketch, using some jillibean soup product ... link it up on their blog. you can use either of the sketches posted thus far (SS1 or SS2) and you have until 7am EST on wednesday, may 12th. they will be picking a random winner for $25 worth of jillibean products. and i have another sketch layout coming later tonight for a guest designer spot i did. it's supposed to go up on wednesday ... but since they're 18 hours ahead of us, you actually get to see it early. our tues is actually their wednesday ... or something like that. lol! i also have a super cool share on thursday. i know i disappeared for a few days there ... but i hope these few posts will make up for that and get me back on track! challenge with mary and lynn . . .
challenge time again! i think it's kind of funny that we always plan these challenges as soon as we finish the previous one. so we give ourselves two weeks. and yet, i think 90% of the time ... both mary and i leave it until the night before. lol! love that we're both procrastinators like that ... helps us understand each other! this time, we have lynn joining us ... a very talented and cool scrapper. and i have to add (after reading her post) ... she did actually invite herself to join our challenge this time. but we're glad she did ... because we both love her work! for this challenge, we came up with the following. i didn't start this until last night. like i said, i'm a procrastinator. but i had the idea for the photo already ... and for the large glitter chipboard letters. the rest just sort of came together on it's own ... in a fairly short amount of time. love when that happens. 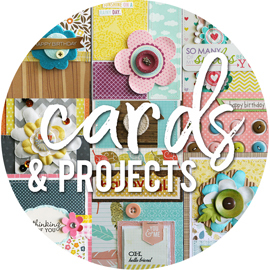 i love the 12x12 scalloped cardstock from bazzill ... i love taking an entire sheet and adhering it to cardstock. and i also grabbed a scalloped border diecut from bazzill to add to the middle of the layout. when i got to the die cuts requirement ... i took a little bit of time deciding. i was going to make my own die cuts using my slice ... but was being too lazy to get it out (not that it's any work to get out!). i went rummaging through my baskets ... and came across these journaling die cuts. and i didn't even notice this until right this very second ... but those die cuts have scallops too. how cool of a choice was that? even if i had no idea at the time! i just accented the die cuts with some metal grommets and a few pearl accents. and i did cheat a little on the glitter. i would love to get out my bottles of glitter ... and some glue ... and have at it. but the neat freak in me just couldn't do it. lol! i want so desperately to be a glitterer ... but the mess scares me. so i went with some glitter chipboard letters. best of both worlds, right? 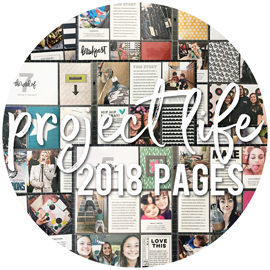 make sure and check out the other amazing layouts the girls have created for this challenge. you can see mary's HERE ... and lynn's HERE. old summer layouts . . .
here we go ... some of my favorite summer layouts from years past. keep in mind ... these are all old layouts. most of them done about 3-4 years ago. most of the photos were from 5 years ago. but i'm thinking i scrapped all these at least 3 years ago. i think i did this layout for a class i taught. or maybe just the accent. i remember it was a class on chipboard. that larger photo of sarah has always been a favorite of mine ... even if it was a little dark. that was from 5 years ago, when she was just 5 years old ... back in my film days. i actually did this layout as part of my entry for the CK "hall of fame" contest ... which obviously, i never did win. lol! it was supposed to be a layout about a special photo that had a lot of meaning. i choose that larger one of joe and sarah. these were taken on a trip to the cabin ... from 5 years ago. love that these old photos have the dates printed on them ... comes in handy. lol! and here's a close-up of the journaling about these photos. so hard to get a good photo of a 2 page layout. i have a huge glare on that upper left corner ... but i'm too lazy to retake it. i was so proud of this layout when i created it. i'm pretty sure this was a becky higgins sketch ... i used to do a lot of those. i was big on using foam stamps and paints for my titles. and do you see how i worked some of the label stickers into my journaling? i'm sure that took me forever to figure out. lol! once again ... photos are from 5 years ago. i'm noticing that most of these layouts are mainly of sarah. now i feel bad that i didn't pull more out with alyssa. lol! i'll have to find more of her now. anyways. i used vellum on this layout ... the printed kind. i always had a hard time using that, for some reason. and i remember this layout coming together so easily ... i wish i could always make it that simple. these are also photos from 5 years ago. is it a coincidence that all of these ended up being from the same year?!?! lol! ok ... these photos were from 4 years ago. this was from a trip to disneyland we took with grammie and papa. i did an 8x8 mini album on this entire trip ... one of my favorite mini albums ever. but i also did a few random regular layouts here and there. i love this one ... the colors are so fun. my favorite chipboard letters ... i still have gobs of those. back to photos from 5 years ago. lol! these were taken at a tiny little amusement park. another layout that i just loved when i created it. and i noticed that i was big on punching holes and stringing ribbon through the holes. i have a lot of layouts like that. guess that's enough for one day. i have so much fun looking back through my older layouts. i have so many that still catch my eye ... and that i love. there are so many that i want to lift ... and make new versions of. and a little bit of haley . . .
figured since i had shared a few pics of nikolas and ayana ... i had better share a few of haley. don't want to play favorites. took these today. had a few more i wanted to share ... but my computer is acting super slow. so these three will have to do for now. i wish she had been sitting in a different spot. the plaid couch really doesn't go with the photos. if i could slip cover that couch ... i totally would. but i don't know how ... so i won't. lol! haley came in the cutest pigtails today. when her mom dropped her off, she happen to see her from the back ... and commented on how the pigtails were a little crooked. which i could totally relate too ... since anytime i do them on the kids, they're crooked. nothing a little tug and tighten can't fix. i had more cute ones of her playing at the table ... will have to edit those later. but i thought these next two were funny. you know i love to just hold up my camera and shoot from above. once again, not looking ... and just hoping to actually get them in the picture. sure, i have a lot that don't work ... but i get a lot of them that do. and i like how she's off to the side on this ... i felt no need to even crop it. would be fun to add something digital to the right side of this photo. if i knew anything about digital. lol! and just a total side note. see the two tattoos on her arms? her dad put those on last week. they're both sesame street tattoos. i keep asking her "you STILL have those on?". because sarah actually put a tattoo on a few weeks ago ... on her face! and this was the first thing i thought of. the tattoos that stay on for weeks and weeks. all i could think of was that she was going to have this huge soccer tattoo on her cheek forever. lol! luckily, it was one that came off very easily. she was trying to reach my camera. she failed. but i succeeded ... in getting some cute pics of her. and btw ... that's gum in her mouth. she will chomp on that gum all day. when i sit her down for snack or lunch ... she takes it out and sticks it to the side of her tray for when she's done. i still have no new scrapping stuff to share. i have about 12 projects started ... and just can't seem to actually finish any of them. but i was cleaning out an old album today. with summer layouts. and i found some that i really love ... and i'm thinking that they're ones i've never shared. and since here in california, we've decided to have record breaking temps this week (i think we topped at 95 degrees) ... i think it's a perfect time to share some summer stuff. so come naptime tomorrow ... i'll take some pics of them and share. better than waiting for me to finish the new stuff, right?!?! nikolas and ayana . . .
every now and then, i get to watch my neighbor kiddos while their mom is at work. so yesterday, ayana had "crazy hair day" at preschool. her mom asked me if maybe we could put her hair up all crazy. the girls would have been good at that ... but they had to get to school. so it fell to me. i admit, i'm not that great at doing crazy hairstyles. but i did have a bag of these plastic barrettes ... so i put about 15 of them in her hair. i thought it was pretty funny ... and i think she liked it. she wore them all day ... so that is a good sign. and she purposely wore her clothes inside out too ... must have been another theme for the day. and when i was brushing her hair, i asked her if she had just got a haircut. the back of her hair was so cute ... layered curls that fell so perfectly. she proudly said "oh, i did that". i do remember her cutting her own hair at one point ... but i thought that was a while back. lol! nikolas had to get in on the photos. with his "big smile". he just loves ayana. their families are actually really good friends. he looks up at her photo on the wall all the time ... and asks me "where's ayana?". it's so cute. and she is so good with him. she helps him with whatever he needs ... will rush to his side. and she's constantly telling me what he's doing ... like a mini-mother. i know, i know. the boy is pushing a pink stroller, with a pink purse hanging from it ... all filled up with pink and purple stuff. but it's all good ... really. we just happen to have a lot of pink around here ... but he's definately all boy. and i for one think it's good for boys to do these kinds of things. they'll grow up knowing that they CAN take care of babies and push strollers ... that it's not just the mom's job. lol! the purse is actually something haley was playing with on monday ... it was just still hanging on there. and the blanket and purple elephant are ayana's. he just pushes the stroller all over, no matter what is in there. although, if it's empty .. he'll usually put some cars in there. do you see the grandma and grandpa sitting on the couch? nikolas had pulled out the grandma ... so i dug out the grandpa and we set them over on the couch to watch tv. and they sort of tipped into each other. nikolas said "awwwww, how cute". it was so funny. he's trained to say that. whenever i have photos out ... he'll do the standard "awwwww, how cute" to all of them. but i thought it was funny when he said it for the grandparents. and it's totally fine that he's playing with a dollhouse. i know some might think they're just for girls. but i have had many boys that love playing with this. they always find their own way to add some "boyish" stuff to it. like the cow on the top floor ... peering over the baby crib. or the mario cart dude hanging out near the grandparents. and see ... i told you he walks around making his "big smile" face. i'm surprised he doesn't run into more furniture. lol! whoo is the cutie . . .
still trying to actually get something finished enough to share. i keep starting more new things. might make more sense to actually finish a few things first. what can i say? lol! anyways, did come across this older layout that i never shared. definately a different type of layout for me. the chipboard owl and branch are from one of the KOTM's from last year. i had wanted to use them ... and thought they matched these photos of miranda. i was trying to tie in a little turquoise ... to go with the toy she's chewing on. i may have gotten carried away with the buttons ... not sure. i think i started with a few ... and just kept going. and is that title not genious? such a play on words ... i amaze even myself sometimes. lol! i think i've been in a blogging funk this past week. or maybe that's because i really don't have anything to share. i feel like i can't post without a picture. and if there aren't any pictures ... there is no post. lol! this is what i was working on last weekend. i did 6 layouts ... none of which i can show you. sorry ... that was just mean. lol! i kept bringing this basket of stuff up and down the stairs each day ... trying to get my mojo working on it. fun product, a great die cut machine, great photos ... you'd think it would all just magically come together. but sometimes, it takes more work than others. but the end result was some of my best work i think. work that i can't show you. sorry ... mean again. lol! then, after all that creative work ... my mojo took a break. from the layouts, anyways. which was ok ... since i was able to work on some other projects. including photo organizing ... getting the sports album going. the travel album that i've been saying is THIS close to being done for the past few months ... is seriously THIS close to being ready to share. so, so close! just have some journaling to add in ... and some titles. hopefully, in the next day or two i can share. my project 365 photos are two weeks behind now. i have photos for a lot of the days ... but i'm also missing photos for a lot of the days. lol! i'm sure i have some that i've overlooked ... so i'm not ever sure where i stand. all i know is ... they're not organized enough to actually share or type up a blog post about them. maybe i'll share them later. i guess as long as the album gets updated, that's the important part. but i do like sharing them on my blog too ... i think i journal a lot more on here than i do in the actual album. i also have about 8 layouts in the works. 3 of them are for other people ... scrapping friends that i'm swapping photos with for fun. i feel bad that i pushed them to the side. i have some DT layouts that are so close to being done too. even started one tonight that i'm really excited about. i pulled some 7 year old photos off of some old layouts ... and i'm re-scrapping them. in some weird way ... i'm going to go from 4 layouts to just 1 layout. that feels good. and gives me lots of ideas too ... but ones i'll have to give some though to before starting. it involves tearing old albums apart ... and that could get messy. i'm going to cut this short. my computer is acting super slow right now. i'm typing ... and it's taking forever to even catch up with what i'm typing. the curser is about 10 strokes behind me. i have no patience for this. lol! my girls play rough . . .
took these photos last week ... and they totally crack me up. i think i've mentioned this before ... but my girls love to play ball in the house. not outside ... but IN the house. soccer is the biggest sport. next up would be volleyball. and then there is softball. alyssa had found this mini soccer ball at her dad's house ... it's attached to one of those stretchy cords and you strap it to your wrist. so you can kick the ball ... and it always comes back to you. so why not use if for some pitching practice, right? so here is alyssa, getting ready to pitch to sarah ... who is catching. the jump rope laying on the floor? i think that was left over from volleyball ... they use that as the net. look at alyssa ... giving me the wink for some reason. a sign of the trouble to come i think. but you'd think sarah would be prepared ... seriously, look how padded up she got. i think she's wearing about 4 jackets ... and even 2 pairs of pants. fuzzy socks and slippers. a couple of hats ... and a scarf wrapped around her face. not sure why she's still holding the volleyball from the previous game. they're close enough that the ball really does make it to each other. it bounces back from the cord ... so i'm not sure sarah ever actually caught one. and trust me ... it bounces back hard! i can't tell you how many times it's come back to get them. lol! and least she uncovered her eyes at one point ... so she could see what was coming at her. and it just wouldn't be a game if they didn't give it all they had. they don't understand the meaning of "take it easy". they play hard ... and they play rough. and yes ... someone did get hurt just a few minutes after i took these photos. it always happens! i just noticed you can see my partially painted walls in these photos. lol! in that last photo, you can see the yellow that i've been painting. and along the bottom, is the beige that i had before. i hadn't done any edges or trimming. and i also havn't touched the paint in over 3 weeks. i decided that overall ... i wasn't liking it. only in the playroom area ... i liked that up against the green walls. but the rest of it was bugging me. so as of today ... i'm repainting it. with the original beige. at least i didn't have it all done. lol! some softball pics . . .
for the first time in almost 2 years, i took my camera to one of sarah's softball games last night. yep, it has been that long. i took photos her first season in 2006 ... lots of photos. in the 2007 season, i took photos at just one game. which actually worked out ... since i got photos of her doing all the important positions and it totally summed up the year. in the 2008 season, i didn't take a single photo ... which is just absurd. and this season, i just keep forgetting. anyways ... here's some from last night. getting ready for her first at bat ... i think she was the second hitter. she hit a perfect bunt ... just perfect. i actually don't like that they tell them to bunt so much ... i cringe every time they try. but she did a great one. made it to first. you can see the girl by the umpire that still has the ball ... never even had a chance. waiting ... all ready to run. i know this is super blurry ... but she made it home. she played second base last night. nothing too exciting came her way ... in all honesty. she's been playing catcher a lot this season ... i was hoping to get her catching. but good stance at second base. next at bat. i nearly missed this one. didn't even realize it was my kid up there ... they usually don't get through the line up so fast (in was only the second inning). she hit this one good. i can't remember where it went ... out to left field somewhere. hanging out in the dugout. they played this game at the stadium park. all the teams get a few games here ... and then the rest are played on normal fields. but this is cool, since they get a real dugout. she was so close to batting a third time ... here she is waiting, since she was on deck next. the had an excellent game ... and won 8-2. i think this is their third win ... and it was well deserved. doing the tunnel for the other team. this is always funny. since lots of times, both teams will go to do a tunnel for each other ... so they end up on opposite sides waiting for each other. and then it's just whoever gives in first. lol! and i had to get one of alyssa ... watching the game and reading. she's not into softball ... she did one year and decided soccer is more her sport. so she gets to hang out with me and watch. speaking of softball ... i just got done ordering the girls softball pictures from the last 4 years. i had printed a few of them ... and have done all of one layout. but i have an idea for a sports albums that i've been meaning to do. including both soccer and softball. figured i'd start with softball ... since i have less photos to sort through and edit. hoping to get that going over the next week or so. i'll share when i get to it ... although don't hold me to it. lol! it's kind of like my travel album that i've mentioned ... that is SO close to being done. it's sitting here on my desk right now, in fact. i have good intentions ... really, i do! hoppy easter everyone . . .
just wanted to wish everyone a very "hoppy" easter today! as seen in the april cards magazine. they usually like us to wait longer to share our published projects. but i'm hoping this is cool ... since the card won't have the same effect in another month or two. lol! challenge with mary . . .
once again, mary and i took an extra week to do this challenge. i guess that's why we like to keep this so casual ... because sometimes we get busy or forget. that was our reason for missing last week ... we were both super busy with other stuff. this week ... i just plain forgot. more on that in a minute. like i said .. i totally forgot. mary happened to mention this late thursday afternoon ... and i realized i had totally forgotten the challenge. so i thought about what i would do. then i totally forgot again ... and didn't think about it until about 9:30 last night. i pulled out a few of the papers and a photo i had laying out that matched ... and threw the base of this layout together in about 10 minutes. we have both gotten this paper pack numerous times in our goodie boxes from scrapbook trends. so we thought it would be fun to make it part of our challenge. i'm not sure i would have used this paper without the challenge ... although i do like how it turned out. and luckily, i had just gotten the matching chipboard frames in a goodie box on wednesday ... that made this layout even quicker. only thing was ... i couldn't remember the other 2 items for our challenge. i knew the paper and the chipboard ... but drew a blank on the other 2 things. so i just figured i'd work them on the layout once mary told me what they were. lol! found out the other 2 things were the circle punch and buttons ... so those were easy enough to add on. just a few punched circles from the pattern paper scraps ... and added a few buttons with mini brads. and some foam letter stickers for my title. super simple ... probably spend less than 20 minutes on this entire layout. not bad. 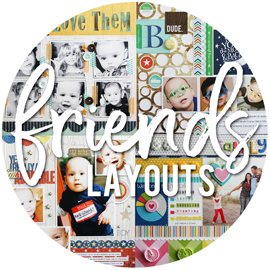 make sure and check out mary's layout HERE. now, we know that not everyone will have the "poppy" paper collection. but we're hoping that most of you have some sort of SEI paper for this challenge. as always ... we'd love to see if you play along with us! just chillin sharing . . .
saw one of these pages up on the MM blog today ... and figured it was ok to share them. i created these months ago ... long before i even knew it was the just chillin collection. just knew it was some super cute papers. and one thing about doing things so far in advance ... is that you don't always have the real product to work with. so those super cute badge brads? to me, they were just a paper piece ... i thought maybe they'd be epoxy circles or something. as you can see on the photo on the MM blog ... they have replaced my paper circles with the real product. so if you're thinking i was crazy for adding almost an entire package of them to one layout ... it's honestly, because i didn't know what they were at the time. lol! although that is still a super cute idea! and thanks again to deneen's daughters (well, 3 of her daughters and another friend) ... they were very willing to come over and let me take some quick photos for these layouts. without any warning too. i called ... and 20 minutes later they were here for me. didn't even plan the outfits ... but they turned out perfectly! my first jillibean soup projects . 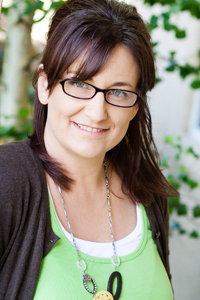 . .
today is my official "intro" day over on the jillibean soup blog. they have been introducing the design team members for the past week ... and have more left over the next few days. 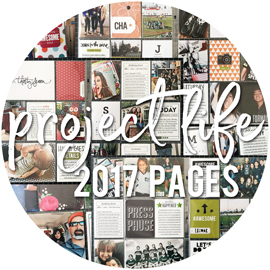 there have been lots of great projects ... so be sure to check them out. here's my first few designs using their amazing products. aren't these the cutest papers! and the journaling sprouts are so much fun. i'm also in love with the font on the alpha stickers ... so cute. you can find the complete suppy lists and some additional info over on the jillibean soup blog. old birthday layouts . . .
these were a few more layouts in my super, duper old stack of unfinished layouts. check them out. my apologies for the cruddy photos. yesterday it was 80 degrees and sunny out ... today it's gloomy and raining. lol! anyways ... ignore the black background ... i have these on my ikea shelves. this layout was inspired by my all time favorite scrapper, erin clarkson. actually, it's a total lift of one of her layouts ... from 4 years ago. i can prove that ... because i had this page torn from a magazine. the issue? march/april 2005 scrapbook etc. i had the same exact papers ... same cardstock ... same metal flowers and mesh ... and even the same stencil die cut letters. i had cut the papers and brushed the edges with white paint .. and had assembled all the papers. but that was as far as i got. no photos or title. i have seriously had this in a bag for 4 years. any time i clean out that pile of unfinished stuff, i come across this. but i always kept it ... because i still love this layout of erin's after all these years. her style is amazing! i had the layout on my desk and was determined to find some photos to use for it. i also had these photos of alyssa's birthday party from 2 1/2 years ago sitting out. took me a while ... but i finally realized that i could use the photos on this page. these are all 2x3 photos ... i had them all printed at costco (4 on each 4x6 photo) and then just made my own collage on a piece of white cardstock. i had my metal flowers painted the orange like erin used ... but changed them to green later. so i did have a few things that ended up different ... but still all her idea! so i have this in 2 seperate parts of my shelf ... so pretend the black shelf piece isn't in between the two pages. did that even make sense? i had started this layout ages ago ... all the papers were there and the diecuts. but i had printed out the photos myself into these small sizes (smaller than what is on here) ... and had them randomly all over the 2 pages. kind of resembled a photo sneeze. i didn't like the look anymore .. so i tore them all off. i had all these printed at 2x3 at costco (once again, 4 on each 4x6 photo) and made them into my own collage on white cardstock. i like the look much better like this than i had before. i just added some chipboard letters for my title ... nothing original. and i would love to add another diecut to that top left corner. but i can't find my package of them to match. i'm actually thinking i gave them to someone. oh well. so nice to get some birthday photos and layouts done. i tend to avoid those types of layouts ... birthday and holidays. maybe because there are always so many photos. doing the collages like this is perfect ... make the rest of the page pretty easy to finish. a little craziness . . .
here's the thing ... today was a little crazy. started off not feeling totally great. i've had this constant ringing in my left ear for about 4-5 months now ... along with some head pressure. some days it gets to me more ... and today was one of those days. i avoid the doctors ... because usually, it doesn't do me much good. i'm always told i'm fine ... and to try something silly and call if it gets worse. but today was a day where i felt like i had to take action. and for once, i got an appointment without much trouble. had grammie come over to watch the kiddos and went on my way. doctor was pretty good this time. i think he sensed that i was worried ... and that i wanted something to prove if i was ok or not. anyways, i have a few tests lined up for wednesday. one of them being a hearing test ... that just makes me feel old. lol! the kids were great today. my girls are home all week from school for spring break. they love to play with the little ones. and they even found something to keep themselves entertained during naptime ... when i make them be quiet. the little ones were in excellent moods today. a little whiney in the morning ... but that's usual. after naps and lunch ... they were very happy kids. it was a gorgeous day out ... i think we may have gotten to 80 degrees. a little before 5:00pm, the girls decided it was way too hot out ... and went to grammies for a swim. yes, they're swimming already. usually, the first "official" swim isn't until easter day ... but they took their first swim sunday night. anyways. joe slept late today ... and i was feeling too tired to cook dinner and hadn't taken anything out anyways. so by the time the girls got back from grammies ... we had to scrounge up what we could find for dinner. lots of leftovers ... which was actually good to use them up. joe left for work a little before 9:00 ... and about 5 minutes later, calls me to tell me the car just stopped. as he was driving on the freeway ... just stopped. so he's on the side of the road. at night. just so happens, as he's talking to me on the cell phone ... a co-worked drove by and saw him and stopped. which i think is crazy ... since i would never notice anyone on the side of the road at night. then a cop car stopped and they decided the car wasn't starting and couldn't be jumped. so he calls for a tow truck. problem is ... our coverage will get you towed 5 miles for free ... and anything over you have to pay for. he's in the middle of 2 cities ... and both are definately more than 5 miles into town. nothing else we can do ... we have to get the car back here and to the auto shop. so he waits for the tow truck ... and his co-worker waited also, so that she could give him a ride to work and then back in the morning. he called me when the driver left ... so that me and the girls could go to the auto shop to meet him and pay him. meanwhile, the house has gotten super hot ... it's 79 degrees IN the house. so i open a window upstairs to help cool it down. i think that's how the huge freakin bug got in the house. it was a huge, leggy, flying bug. it was on the girls bathroom door ... so i was tracking it and trying to find something to swat at it with. i yelled at alyssa to go get me the hand towel in my bathroom ... the one hanging on the ring by the sink. i tried my best to get the bug ... but i failed. i told them i would be brave and go in the bathroom with the bug .. and closed the door to get it. it was up behind the toilet and i thought i could smush it. but it moved and i freaked ... and i may have screamed like a girl. which the girls pointed out ... i AM a girl. but still. then i just started whacking away at it with the towel ... knocking over lotion bottles and getting my heart rate going. finally got it ... and picked up all the legs that landed all over. went to put the towel back on the ring (which now seems gross, need to wash that thing) ... and the ring falls off the wall. it has been loose for a while now ... but strange how it picked tonight to fall off. we went out the front door and noticed there were tons of those same disgusting bugs all over the front of the house ... kind of spooky. we go get in the van and start to head over to the auto shop. halfway down the street ... the same sort of bug is IN the van with me, by the drivers seat. so i'm fumbling around for kleenex as i drive ... and i might have been swerving a little. sarah is getting all upset ... thinking i'm going to crash. i'm whacking away at thin air ... because i really can't see anything. it was right by my head at one point ... gives me the heeby geebies just thinking about it. of course, our driver side window doesn't work ... so i couldn't roll it down to get the bug out. i'm not actually sure if i ever did get it. but i tried ... a lot. we get to the auto shop and i get an envelope to fill out to leave our keys. i set the alarm on the van ... while we were sitting in it. because it was dark and we were in an empty parking lot. and it's not the best part of town. this made the girls really nervous. got the info filled out and tried to pass the time. but it was spooky just sitting there. finally, i figured we would just drive around until the tow truck came. of course, when i started the van .. i set off the alarm. figures. i knew where the tow truck was coming from ... so we just kept going back and forth down those few streets. around and around. it was taking him forever. the girls were making themselves sick with worry. it was past 10:30 at night. finally, we see the tow truck coming down the street ... and we flipped a u'ey to go after him. alyssa gave this huge sigh of relief ... like everything was going to be ok now. so the driver tells me it's going to be $50 ... since it was 10 miles over what our coverage allows. you see, the spot where the car died ... just past an exit. so he actually had to go about 2 miles down the freeway to actually turn around ... and then the 2 miles back. just to get across the road from where the car died. ugh. i actually figured that $50 wasn't all that bad ... but maybe that's because it was so late at night ... or the fact that i'm used to much larger car charges (which i'm sure we'll be facing tomorrow). i wrote up the check and filled out his paperwork. when i gave the check to michael (sarah got his name) ... he says "girl, what's with the psychodelic circles on the check?". my checks have this polkadot circle pattern on them. but i can see how it might look a little psychodelic ... especially late at night. lol! it was so funny though ... he was a funny guy. he got the car off the truck and parked. i got the info filled out and put the key in the drop box for the auto shop to find in the morning. i got the car seats out of joe's car ... and all his umpire gear. michael helped me carry everything over to the van ... and said "hi" to the girls. he was trying to close the door on the van and it wasn't closing ... and i told him i have a button for that. he says "you girls and your buttons". seriously, it was so funny. he was the best tow truck driver i've had ... and i've had a few. an hour later ... and the girls and i got home. it was 11:00pm. we were all tired. but a little wound up from all the excitement. we're all hot up here ... house still hasn't cooled down much. i didn't get my shower like i planned ... so i might stink a little tomorrow. my head still hurts and my ears are still ringing. i'm still sensing a bug on me ... although i'm probably imagining that part. i have an early day ... first kiddo at 6:45am. and i didn't get to watch any of my shows tonight. at least i got an assignment done tonight that is due tomorrow ... just before all this happened. although i still have some assignments that i havn't even thought about yet. and i had layouts to share too ... just never got around to taking pics today of them. yada, yada ... could i make this story any longer?!?! i probably could. the girls will probably remind me of other parts to this in the morning. i know alyssa was already typing up a story in her "notes" on her cell phone. so i'm sure they'll have more tidbits that i forgot to mention. here's hoping that tomorrow turns out better. and hoping that the car isn't that much $$$ to get going again ... or take too long. although with the way my luck was going today ... i should probably be nervous! scrapbook bakery projects . . .
heather from scrapbook bakery was sweet enough to send me some product to play with. although this was about 5 or 6 months ago. i started these next two layouts the same week i got the product ... but then somehow forgot about them. i feel terrible admitting this ... i can be so pathetic sometimes. lol! i came across these this past weekend ... tucked away with other half finished layouts. this page was almost completely done. it had the title ... had the journaling. the only thing it needed was the "?". yes, this page has been sitting around for 5 to 6 months ... all for one stinkin question mark. lol! i dug and dug ... looking for one that would work. never found one. finally just handcut my own from cardstock last night. how easy was that? lol! this layout was pretty much done ... everything you see here was done. i just wanted to add some journaling or something. although i had no idea what i wanted to say ... or where i would even put it on the layout. i do this sometimes ... since i generally leave the journaling until last. i finally decided to just leave it as is. so i didn't even have to do anything to this ... just make the decision to accept it the way it was. make sure and check out scrapbook bakery ... heather is having an april sale, with some kits at 50% off the original price. and stay tuned ... i have lots more layouts to share this week. i got a lot of my unfinished layouts, finished ... feels good! project 365: week 13 and 14 . . .
2 weeks worth of project 365 for you today. and it IS saturday ... even if it's 1:30 in the morning. lol! i'm just being super efficient to make up for last week and my not posting. and i guess you'll figure out that the photo i have for saturday, was really taken on friday. since i can't possibley be out taking pictures today ... when it's pitch black. lol! photos are all ordered and will be picked up in the morning ... all the way up until today. then i just have to journal still. without further ado ... week 13 and 14 photos. day 81 ... march 22nd. girls hanging out ... soccer in the backyard. one thing that i think of when i see this? the fact that sarah always zips up her jackets ALL the way ... to the top. we always tell her to unzip it a little to show her shirts ... but she doesn't. and alyssa ... she always wears that hoodie. it's super cute ... but definately showing some wear and tear. day 82 ... march 23rd. on monday, sarah had her awards ceremony at school. she got one for writing and one for making the honor roll. super proud of her on the honor roll ... she's doing so well in school. day 83 ... march 24th. i have these 2 pots outside by the front of the house ... framing either side of our porch. and i've planted a few things there ... just never remember to water them and they usually die fairly quickly. so at one point, i think i gave up ... and these pots have sat empty for about 2 years. that's kind of sad ... not a great sight when you walk up to our door i guess. lol! it's been funny to see something actually growing in there ... without me doing anything. and while i think half of this is actually just weeds ... the pink flowers are something i planted years ago. day 84 ... march 25th. just a shot of sarah's room. this is the corner above her dresser. the paper lanterns are so colorful in her room ... and the ladybug pillows are so cute. they used to be on her bed ... but have made their way to the top of her dresser now. although she says she wants a room make-over for her birthday. day 85 ... march 26th. my nasty curling iron. lol! i like to think that everyone's looks a little like this ... with the ceramic part flaking off from all it's use. although that might even be hairspray ... i have no idea. i have curly hair ... but it needs extra shaping most of the time. so i curl parts of it here and there ... every day. some day i should invest a little in a good quality curling iron ... i think this is some cheapy $20 one from target that i've been using for years. day 86 .... march 27th. the volleyball has become very popular in this house the past couple of months. alyssa plays it a lot in PE at school ... and loves to practice in the house. yes, i'm not only dealing with soccer being played in the house ... i have volleyball going on now too. they're not big on doing it in the backyard ... just in the house. at any given time ... you will usually find about 3 balls in the house. i just kick them around as i go about my day. day 87 ... march 28th. this space kills me. this is part of the built in entertainment center in the family room. see the shelf with the jars and stuff on it? that wasn't even there when they built this with the house. you can see the tv there at the bottom ... and yet the shelf for the vcr and dvd player was way up there at the very top. never even made sense to me. who would have a tv that wasn't that wide ... but super tall ... and 2 feet off the ground?!?! my mom ended up building me another shelf above the tv ... totally looks like it was made that way. we had a super old radio/cd/cassette tape boom box type thing up there ... you know, with the big speakers on either side. but the cd thing broke and we don't own any cassettes. so i took it out. only problem? now i have this huge amount of cords from the tv, dvd player, vcr (for kid movies), and dvr. i have to figure out a way to hide them. those branchy things i got on clearance and planned on adding ribbon and stuff to them to make them cute. and just got the mini apples to add to the vases ... but need another bag. some day it'll look better. day 88 ... march 29th. the loft area when you walk up the stairs ... looking from the corner of my studio. none of that stuff you see belongs there. the chair, the stool, the extra dresser, and all the misc stuff. you can even see my polka dot make up bag there ... told you i carry that thing all over the house. lol! anyways ... there's a story to why this is all out of place. i spend all weekend on this. but it'll have to wait. day 89 ... march 30th. this is the girls side of the scrap island. and it never looks like nice. then again, this might not be their actual stuff. lol! but it made me realize that i really need to get their side organized and cleaned out ... and to get cuter storage. i really need some more of those ikea boxes (the red and black, but in green too). if only that didn't involve a 3 hour trip to get them. more on this at a later time. day 90 ... march 31th. just a random photo of alyssa. and don't tell ... but i took this photo at the beginning of march (not the 31st). shhhh ... it's a filler photo. lol! and her typical "peace" sign. do kids just start doing that at a certain age? day 91 ... april 1st. sarah and one of her banks. she got this one for christmas ... it's supposed to keep track of the money you put in. got the digital reading on the top. now if only she could keep any money in there. lol! she's a spender. if she has money, she has to spend it. if she doesn't have money, she will still find a way to spend it. lol! day 92 ... april 2nd. alyssa is totally addicted to everything "twilight". she actually got this jacob wall hanging for christmas. it has sat all rolled up for over 3 months in her room. she would ask me all the time when i would be able to hang it up. and i would always tell her i'd do it later ... that i would get it done. over and over. for whatever reason, i was walking up the stairs on thursday ... and stopped and grabbed a nail from the downstairs bedroom closet. the hammer was already up in the loft from something else. i walked in her room, grabbed the hanging, stood on her bed, and in one swift movement ... hit that nail in the wall and hung the cord on there. took me all of 30 seconds to do. she kept saying "i waited 3 months for THAT?!?!". lol! it was hilarious. day 93 ... april 3rd. working on the laptop. i was being so efficient yesterday. cleaning out my inbox, printing emails that i needed to save, uploading and ordering photos, posting on my blog. just all that stuff that feels good to get done. and i finally put a photo of the girls back on my wallpaper. i had some crazy pink think with a quote ... it wasn't that pretty. my girls are much cuter to look at. and see that red pencil cup? alyssa made that for me 2 christmas's ago ... at a ceramic place where you paint your own stuff and they do whatever they do to it (kiln maybe?). it reminds me of a ladybug, even though i think she was going for the polka dot thing ... and i just love it! day 94 ... april 4th. i'm torn on the candle issue. i love candles and have a lot of them in the house. but i never actually use them. they're too pretty to light, right? the only one i ever light is the one in our bathroom ... because i take my showers at night and refuse to turn on any bright lights. lol! and yet, i have ordered quite a few candles over the past few months. a few were from my neighbors candle party ... and a few were from the girls school fundraiser. they're just randomly sitting downstairs. and i just noticed the other day that they were all red. totally different scents ... a cinnamon, a cranberry/orange, and a pomegranite. and i never picked any by the color ... it's not like i was trying to get red candles to match anything. luckily, they do match though. lol! i need to refocus on my photos this week. get more of the girls, of joe, and of me. i was doing good with that in the beginning ... and i think i slacked this past month. luckily, the girls are off school all week ... so they'll be around more. now to get these past 3 weeks journaled in the album! quick card share . . .
i had big hopes of sharing a layout or two today. i have enough of them laying around ... but yet, none of them are totally finished. and i don't have the time or focus to get in and whip them out quick enough to post. because then i know they wouldn't be what i want ... they'd be rushed. so for today ... just a quick card that i did a few weeks ago. forgotten photos from 2007 . . .
i was digging around in my 2007 photos on the external hard drive last night ... and came across some unloved photos. i'm the kind that actually edits all my photos each month ... just about every, single one ... even if i never get around to printing or scrapping them. so i was surprised to find all these photos that i had never edited ... i feel so bad that they have sat unloved since 2007. so i edited them all last night (the best i could, since they're older ones) ... and figured i'd share them. always fun to look back at how much the girls have changed. february of 2007. we were totally just playing around ... bought this huge lollipop just to take some photos. but the coloring was off ... and i meant to redo them. but they're still cute. and oddly enough ... i think we still have that lollipop a full 2 years later. that might be kind of gross actually. lol! i think this is cute ... because it's totally sarah's pouty face. the one that really makes you feel sorry for her ... and usually gets her what she wants. lol! june 2007. this photo cracks me up .. so typical of them. just goofin around and having fun with each other. june 2007. i made the girls pose for 4th of july photos in june .. for an assignment. the official start of photographing holidays before they even happen. august 2007. how on earth could i have skipped over these? sarah is so adorable in these ... love that smile. and see that lighter line across her nose? we have no idea why she had it ... but she had it for a good year or two. always more noticeable in the summer ... since she gets so tan. but last summer, it sort of went away. i see it coming back though this year. lol! september 2007. this one is funny. i took this at one of alyssa's soccer games ... and sarah had either already played or was on her way to play. she always wanted to go play on the park during alyssa's games. most of the time i wouldn't let her go ... i'm not big on letting my kids run off too far from me (i'm way overprotected and won't apologize for it. lol!). but we must have been sitting close enough this day ... because i know i took this photo from where i was watching the game. no idea why she was trying to swing in the baby swing. lol! october 2007. we were trying out a new photo spot down the street from us ... and this was our attempt in the morning. which was too bright and sunny. so we went back later that night ... and i got some great shots that are actually hanging super large in my house. november 2007. wow ... one of me. this isn't a great photo ... and quite blurry. but this was actually taken by one of my previous daycare girlies ... and she was about 6 at the time (if i'm doing my math right ... which chances are, i'm not!). i spend most games that year taking photos for the team ... so that's my camera bag on my back. but she wanted to take some pics ... and took over my camera for a bit one game. i do love that she took this of me. december 2007. just some random photos i took of the girls. still trying to get my project 365 photos together from last week. i'm thinking i may just add them on to saturday's post with this weeks. and i need to start editing the photos from deneen's party ... i have about 200 of them that made the cut, which it a lot. lol! and i'm really wanting to scrap ... and have some things to work on. just have to find where i put them. what i was working on last weekend involved cleaning up my entire studio top to bottom ... so i had some things that i just shoved in random hiding places. and now i need to track those down!